In the world of agriculture, having rich sources of data on field conditions, weather patterns, pests and other factors can make a big difference in the profitability and sustainability of farms. 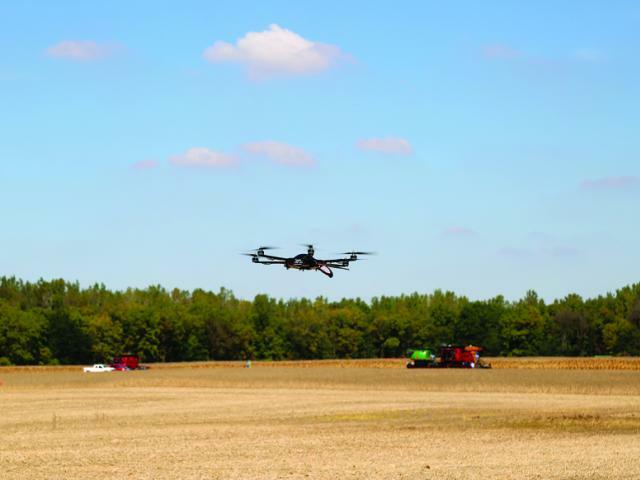 That’s why OARDC-funded scientists are working with Ohio farmers, industry groups and state agencies to boost access to and analysis of field data gathered from new-generation farm machinery, satellite data and remote-sensing imagery captured by unmanned aerial vehicles (aka drones). Fulton said a key goal of his research is to create a user-friendly data repository that growers can use to make decisions. Ohio State, through the Department of Food, Agricultural and Biological Engineering, recently joined the national Agricultural Data Coalition, which is dedicated to helping farmers better control, manage and maximize the value of the data they collect every day in their fields. The coalition’s goal is to build a national online repository where farmers can securely store and control the information collected by their tractors, harvesters, drones and other devices. To contact the scientist: John Fulton at fulton.20@osu.edu.